The hotel lobby is no longer just for checking in. Today’s travelers are happily turning hotel public spaces into their offices, bypassing the lonely and often inconvenient hotel business center. For small meetings or getting business done on the road, these spaces go beyond the typical hotel business center. Hotels are responding by setting up hubs for co-working, where guests can connect to Wi-Fi, plug in their laptops, and get work done in an inviting atmosphere — alongside tourists, locals, and business travelers alike, says Adele Chapin. These hotel co-working spaces are a response to new attitudes about working. That type of worker that says, ‘I need to go use the business center for a few minutes to do this email and use the printer’—that’s not really the reality anymore. There’s a lot more of a need to feel comfortable. Besides providing the millennial business crowd with the vibrant, creative atmosphere and communal experience they expect, co-working areas provide an in-between space that’s less formal than traditional meeting rooms. Adding a dedicated co-working space in a hotel can open up a new revenue stream while engaging the surrounding neighborhood. Here’s how hotels are embracing the trend. Hotels transformed their lobbies into co-working spaces with communal work tables, comfortable sofas, glass-enclosed meeting rooms, and café serving up lattes and other treats. Hotels can partnered with co-working management companies to provide business travelers and entrepreneurs alike with user-friendly workspaces, conference rooms, and free coffee. From co-working to co-living. 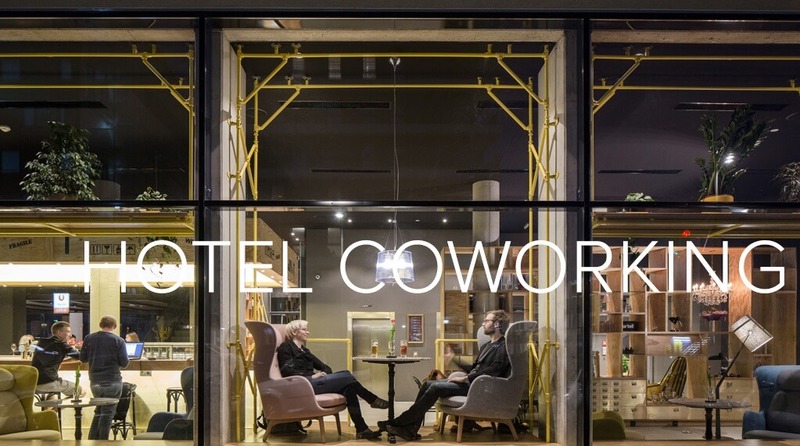 On the flip side, dedicated co-working companies are getting into the hotel game. In April, New York’s the Assemblage opened John Street House, its second location, which also includes a 79-room hotel for long- and short-term stays.